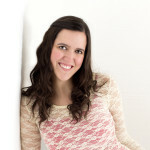 I’m so happy to be featuring Mary Gonzales of Mary’s Knittin’ Designs for another designer showcase today! Mary just recently started writing up her designs, and she’s doing a beautiful job with it! Please head over and check out all her delectable work on her Ravelry Page. Mary has written up a gorgeous sample pattern for us to try out….and I know you’re simply going to love it! 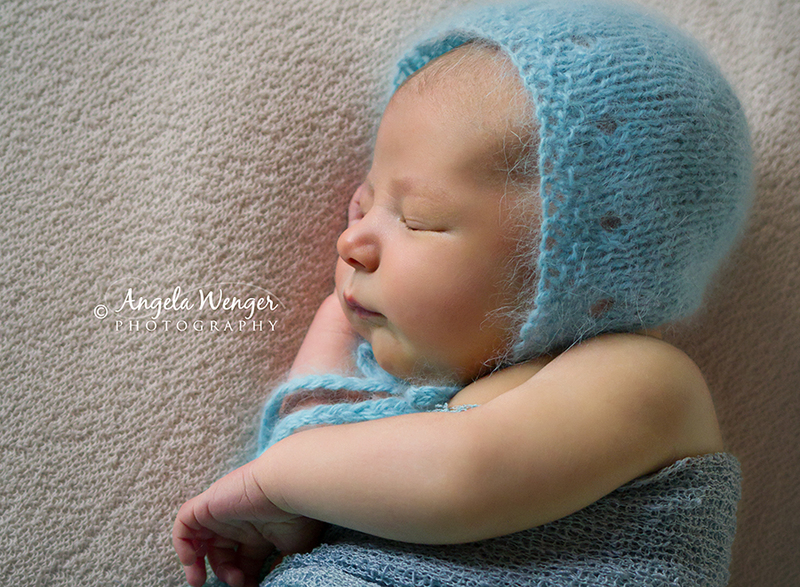 This sweet little newborn bonnet is an elegant, simple knit perfect for boys or girls. All you have to do to try out the free pattern is connect with Mary (via either Facebook or her newsletter) and share this post with your friends – then you’ll instantly gain access to this beautiful design! I’ve got some more details about how to do that at the bottom of this post. My favorite spot to craft is on the couch/recliner with a blanket, cup of coffee, and my Bichon Frise, Coconut, nearby. I knit in the living room. My favorite part is my always growing yarn collection! You can never have too much yarn, right?? 1: Like Mary’s Page on Facebook, using the fancy little button below, OR sign up for her newsletter. To do that, just click here and fill out the form. 2. Share with your friends on either Facebook or Twitter using the little social share buttons at the bottom of this blog post. Such a cute little bonnet. Thank you!! Wahoo…what a beautiful bonnet! thanks so much!!! So frustrated! I have done everything I was supposed to – shared this on my Facebook page twice now and still can’t download the free pattern! Nora – Just send me a quick e-mail at melody@melodys-makings.com. Sometimes it seems like the “pay with a tweet” platform isn’t compatible for everyone’s internet browsers or pop-up blockers. Me encantan tus diseños, pero tu página web es lo más difícil de utilizar!!! Good Morning. I’ve tried to get this sweet bonnet from Facebook, signing up for the newsletter yet NOTHING. Can you please help. I would like the free pattern. I signed up for the newsletter. I am looking forward to both.